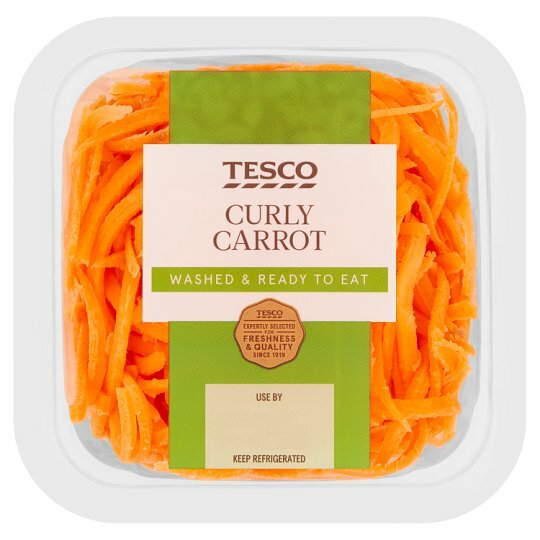 Sweet spiralised carrot, ideal in salads or stir fries. 1. Pierce film several times and place on a non-metallic plate. 2. Heat on full power for 3 minutes (800W) / 2 1/2 minutes (900W). 3. Leave to stand for 1 minute after heating. Instructions: 1. Empty pack contents into a heavy based frying pan or wok. 2. On a medium to high heat, stir fry for 4 minutes.